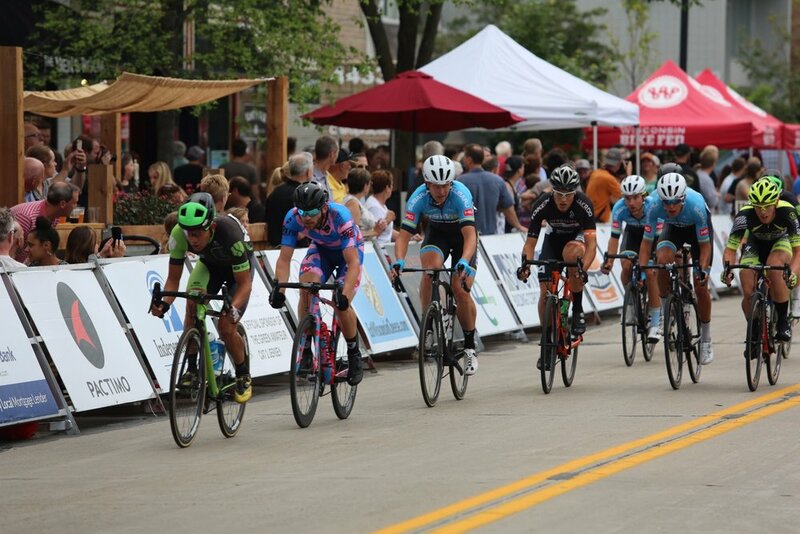 The Shorewood Criterium Cycling Classic was no different with up to $500 being up for offer lap after lap ensuring everyone stayed active. About half way through the race it started to rain and the Cylance Pro Cycling riders knew from then on out they'd have the advantage with their disc break equipped Cannondale Evo Hi-Mod bikes beneath them. With the steady flow of primes and the inclement weather, a real breakaway group never materialized and with about 9 laps to go the guys started to get organized looking for their sprinter, Justin. It would take a photo finish to tell who actually won, but it was clear Justin was confident he had bested Floreanz Knauer (Stradalli Cycle) with Scott Law coming in just behind one step off the podium in 4th place. "What an Incredible feeling," Justin added, "coming out here and winning at Tour of America's Dairyland. It wasn't easy with half a team here, but the guys made it possible with a full heart and 100% faith in each other. 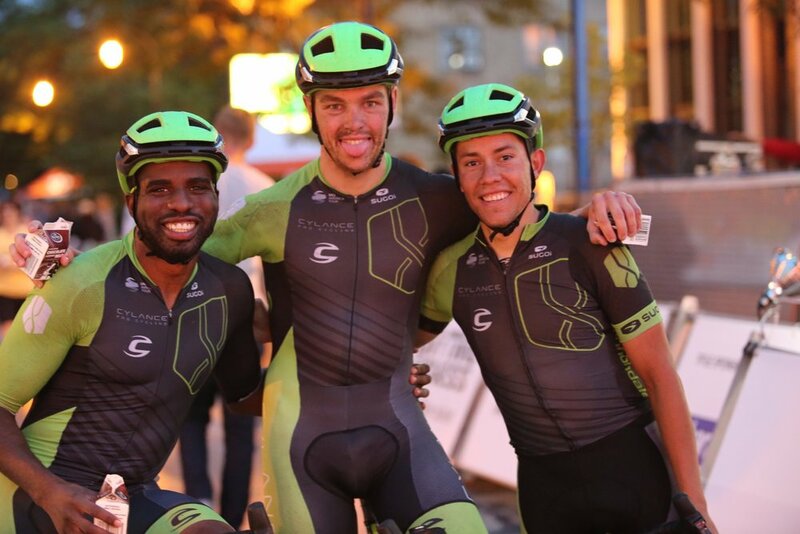 #teamwork"
The three man crit squad continues their residence in Wisconsin tomorrow with the Café Centraal Bay View Classic in Milwaukee. Follow along on twitter for updates from the race, and, as always, #bringthegreen!